The Popilla japonica Newman or Japanese Beetle is a destructive plant pest that is very difficult and expensive to control. Beetle grubs feed on grass roots and destroy lawns, pastures, and golf courses. Adults feed on foliage, flowers, and fruits of more than 300 different varieties. Popilla japonica Newman infestation is especially harmful to plant life because they attack plants in the larval and adult stages, both above and below ground. The beetles first came to the united states in 1916 through New Jersey. Since their initial introduction, the beetle has spread across the eastern states to the Mississippi River. Montana has not been infected with the insect yet due to a state quarantine on incoming planes. 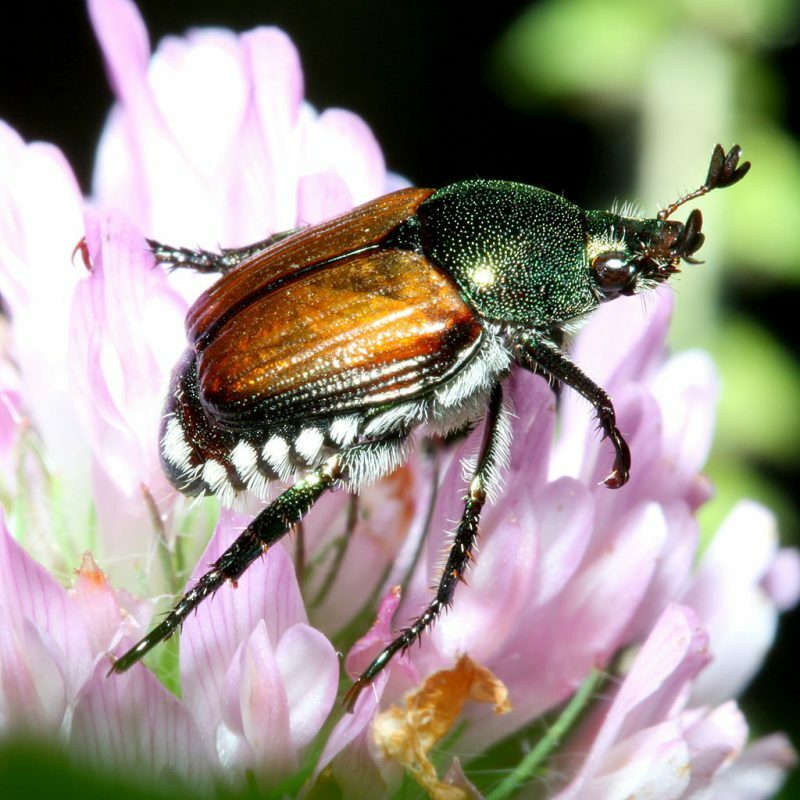 There are several methods for controlling Japanese beetle populations. One method is physical removal and exclusion, where the beetles are physically removed from plants. This method is best used on cool mornings when the beetles are inactive. Cultural control can also be effective. Female beetles seek irrigated areas for laying eggs so the key is to avoid irrigating crops during peak beetle flight activity. This method will reduce the grub population. Finally, tiphid wasps are used as a biological control. These wasps attack young grubs in late summer prohibiting the grubs from damaging lawns and maturation into adulthood. DO YOU NEED CONTINUING EDUCATION CREDITS TO RENEW YOUR MONTANA APPLICATOR LICENSE? This entry was posted in Pesticide and tagged Montana Pests.